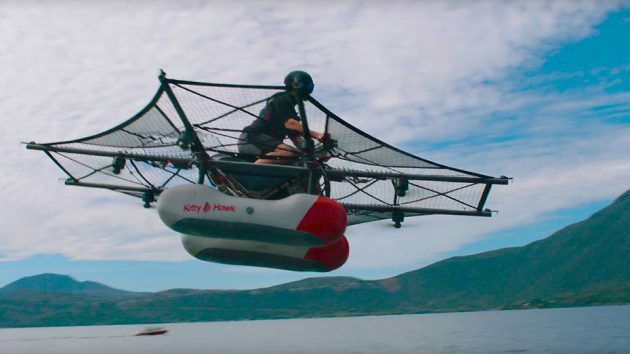 Another day, another “flying car,” but like the Lilium Jet, this Alphabet’s CEO Larry Page-backed personal flight startup, Kitty Hawk’s first flyer is not quite a flying car. Sorry, I disagree with our source cos’ nowhere in the company’s website did it reference itself as a flying car startup. 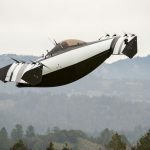 The Mountain View, California-based company’s mission is to, in its own words, “engineer, design and build safe, fun, easy-to-fly aircraft.” So flying car, it is obviously not. The notion of a flying car is a personal transportation device that flies, possibly at low altitude, and also have the ability to travel on normal roads and likely, can be parked within one’s garage, or any regular parking space. 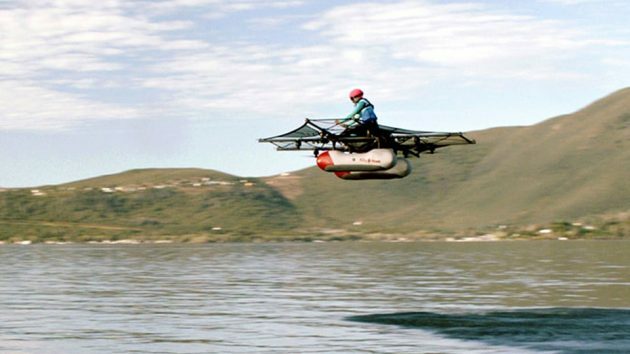 The Kitty Hawk Flyer, as it is called, is more like a flying boat, but then again, it only flies and don’t travel on water like a boat, and so it does not quite qualify as a flying boat either. Anyways, it is a sight to behold. Disregarding the argument of whether or not it is a flying whatever or not, we are glad to see mankind progressing in personal flight. 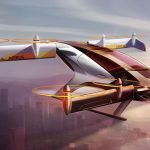 Little is known about the tech specs; all we know is, this 220 lbs (about 100 kg) flying contraption is a prototype that has eight rotors for propulsion and lift. As you can see, the prototype features a pair of pontoons to afford floatation on water, which kind of makes it a seaplane of sort. 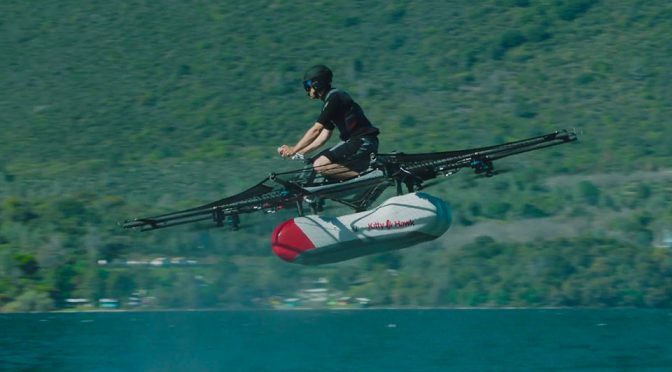 And yes, it is designed to travel over water, or at least it is for now, and it can do it a reasonable fast speed of 25 miles an hour, or 40 km/h. 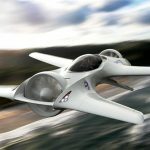 Prototype or not, it sure looks like a hell lot of fun and this means it could be more suited as a sporting vehicle than a transportation device. Anyways, being powered by so many rotors and at such a scale, it would means it will make quite a ding, which is probably not an ideal transport deep into the night. Your neighbors will hate you for this. And we don’t even need to imagine the noise, just have a look it in the action video and you already have a taste of what it sounds like. 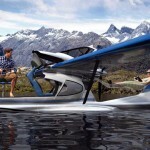 According to the company’s website, the aircraft is “safe, tested and legal to operated in the United States in uncongested areas under the Ultralight category of FAA regulations.” That means, you won’t be needing a pilot license to get this thing off the ground, or in this case, the water. Here’s more good news for flying enthusiasts out there: Kitty Hawk aims to make the flyer available by end of the year and also, the actual flying contraption may not look like the prototype you see here. Hopefully, it will be a lot sleeker. As to how much it will cost, is yet to be announced, but the company is inviting eager pilots to sign up for one by taking up its $100 three-year membership which will put members on priority placement on a waiting list, plus access to the flight simulator, flight demos and more. As a boon, members will get $2,000 off the eventual retail price too. Images: screengrabs from YouTube video. Kitty Hawk via Tech Insider.